One of my new fave restaurants in GRR is Jonny B'z. It's a hotdog place. They have hamburgers. And sandwiches. But why have either of those when you can have an honest-to-goodness beef hotdog? 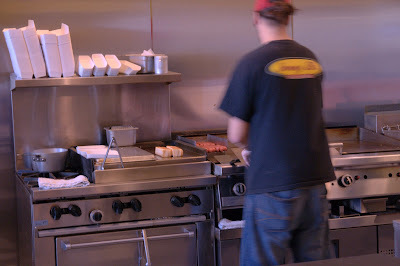 They grill their buns. (Yes I know what I wrote. It's pretty funny, wouldn't you agree?) Seriously, the buns make it. 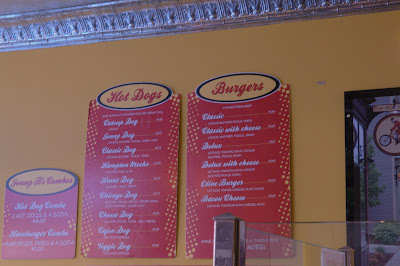 My hands-down favorite is the Chicago dog. Followed closely by the Hampton Meeks. But they are the only two dogs that I have tried so I am convinced other favorites are forthcoming. 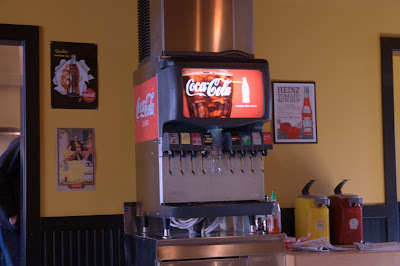 They have Coke Zero on their fountain. 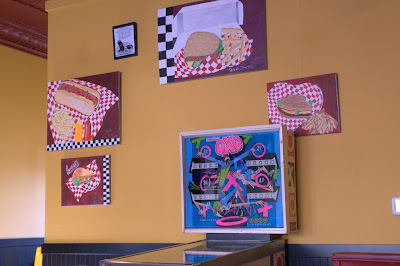 And hotdog art on the walls. Love this. Eat here. You will not be disappointed. I promise.